Is Your Gut Health Linked to Your Anxiety? Breaking research suggests that children who complain about a stomachache may be worth listening to - especially if that child also shows signs of anxiety. The gut contains every class of neurotransmitter that the brain contains. While many parents and even doctors will shrug off a child that often complains of a tummy ache—with no physical cause—research shows that children with abdominal pain are more likely to develop anxiety as teenagers and young adults. A study released this past month in Pediatrics followed 332 children with recurring stomachaches. (1) And while these children complained of stomach pain, there was no infection, no mechanical disorder, and no structural abnormality that would cause stomach pain. As this group of children reached young adulthood, they were compared with 147 children who had never had stomachaches. As it turns out, children that complain of stomach pain are far more likely to develop an anxiety disorder as an adult, even when there is no longer any abdominal pain. Research has proven time and again that your gut health is linked to your emotional wellbeing. Nourishing your inner ecology could offer the key to calm chronic anxiety. The question researchers and physicians face is this: Is stomach pain causing anxiety, or is anxiety causing stomach pain? When you dig deeper into the human physiology, you will find that the brain and the gut are connected. They share a unique relationship where the state of one affects the state of the other. Otherwise known as the gut-brain axis, neurons in the gut and neurons in the brain are in constant communication with each other. In fact, you could even say that the gut has a “mind” of its own. What’s more, the gut contains every class of neurotransmitter that the brain contains. A neurotransmitter is a chemical messenger used by the nervous system. One that you may have heard of before is serotonin. Serotonin keeps you feeling happy, calm, and relaxed. Researchers have decided that serotonin is so important that a large number of antidepressants have been developed to trick the body into thinking it has more serotonin than it really does. But did you know that about 95% of the body’s serotonin is found in the gut? While it may sound far-fetched, your inner ecosystem and your emotional wellbeing are linked. In fact, the more researchers investigate the gut-brain axis, the more they realize just how interrelated the nervous system, the immune system, and the hormonal system are. Still other research published this past June in Gastroenterology has found that fermented milk products, such as kefir, affect regions in the brain that control how you process emotions and sensation. 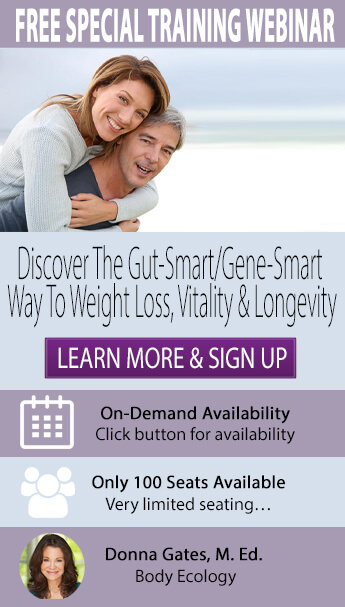 (9) Dr. Kirsten Tillisch, lead author of the study and an associate professor of medicine in the digestive diseases division of UCLA's David Geffen School of Medicine explains, "Our study shows that the gut–brain connection is a two-way street." The gut plays a significant role in your happiness and your perception of happiness—whether or not you have a history of stomach pain or antibiotic overuse. The best forms of probiotics to support your gut health and wellbeing are fermented foods and probiotic beverages. Research has proven that children with stomach pain are more likely to experience anxiety as teens and young adults. Even when that tummy ache goes away, kids that have complained of stomach pain are more susceptible to an anxiety disorder as an adult. As you explore the gut-brain axis, you'll find that the brain and the gut share a unique connection. The gut contains every class of neurotransmitter found in the brain. The gut also contains about 95% of the body's feel-good chemical, serotonin. The health of your inner ecosystem dictates your emotional health. Good bacteria found in fermented foods and probiotic beverages can actually help the gut to synthesize beneficial brain chemicals to calm anxiety. Other studies have proven that fermented milk products like kefir can impact how you process emotions. Yes, eating to boost your digestive health can have an added bonus in improving your overall wellbeing! Shelby, G. D., Shirkey, K. C., Sherman, A. L., Beck, J. E., Haman, K., Shears, A. R., ... & Walker, L. S. (2013). Functional Abdominal Pain in Childhood and Long-term Vulnerability to Anxiety Disorders. Pediatrics. Saint Louis, C. (2013). Risk of Adult Anxiety Seen in Children’s Stomachaches. NYTimes. http://well.blogs.nytimes.com/2013/08/12/risk-of-adult-anxiety-seen-in-childrens-stomachaches/. Retrieved 09-01-13. Gershon, M. (1999). The second brain: A groundbreaking new understanding of nervous disorders of the stomach and intestine. HarperCollins. Clarke, G., Quigley, E. M., Cryan, J. F., & Dinan, T. G. (2009). Irritable bowel syndrome: towards biomarker identification. Trends in molecular medicine, 15(10), 478-489. Mayer, E. A., & Tillisch, K. (2011). The brain-gut axis in abdominal pain syndromes. Annual Review of Medicine, 62, 381-396. Lyte, M. (2011). Probiotics function mechanistically as delivery vehicles for neuroactive compounds: microbial endocrinology in the design and use of probiotics. Bioessays, 33(8), 574-581. Sartor, R. B. (2005). Probiotic therapy of intestinal inflammation and infections. Current opinion in gastroenterology, 21(1), 44-50. Rao, A. V., Bested, A. C., Beaulne, T. M., Katzman, M. A., Iorio, C., Berardi, J. M., & Logan, A. C. (2009). A randomized, double-blind, placebo-controlled pilot study of a probiotic in emotional symptoms of chronic fatigue syndrome. Gut Pathogens, 1(1), 1-6. Tillisch, K., Labus, J., Kilpatrick, L., Jiang, Z., Stains, J., Ebrat, B., ... & Mayer, E. A. (2013). Consumption of fermented milk product with probiotic modulates brain activity. Gastroenterology.